Vacation Rental Maine - Acadia National Park: Acadia National Park's 100th Birthday Means FREE Access for You! Rent this lovely vacation home in Maine and use it as your home base to explore Acadia National Park! Details here. 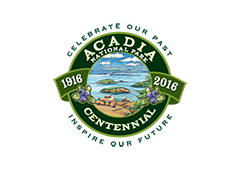 2016 - Happy 100th Birthday to Acadia National Park! The National Park Service and Acadia National Park turn 100 in 2016, and in celebration, the National Park Service announced that there would be 16 admission free days in 2016. In addition, to these days, the National Park Service offers free admission to active duty military personnel, citizens with permanent disabilities and any 4th grade student through the “Every Kid In a Park” program. TIP: SAVE $ Avoid vacation rental booking fees by emailing owners directly.